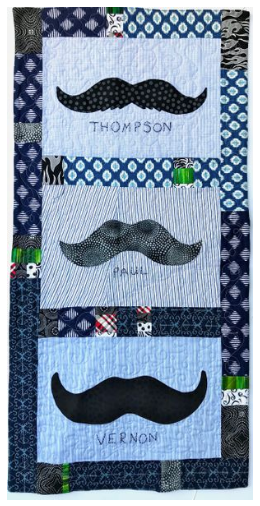 Give the gift of this fabulous baby quilt. Soft enough to use, but pretty enough to decorate the room. 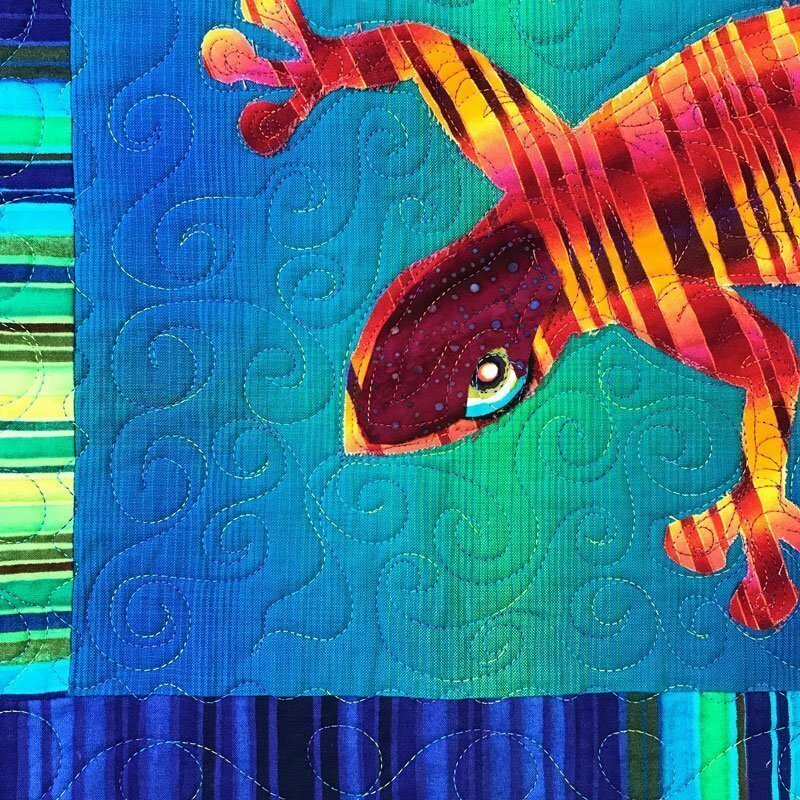 Inspired by the creatures on this luminous blue fabric, Alethea created the raw-edge gecko applique shape. 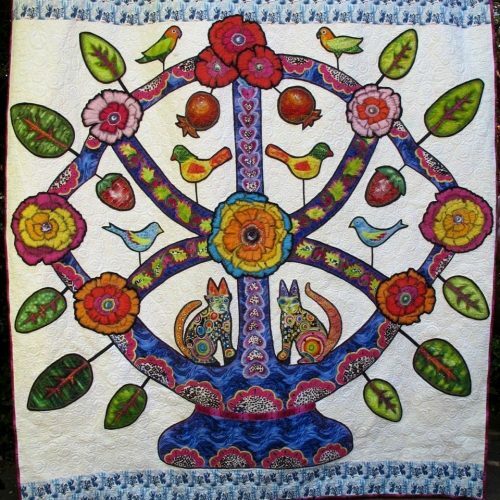 It is fused and stitched to a ombre blue-to-green yarn-dyed woven background. 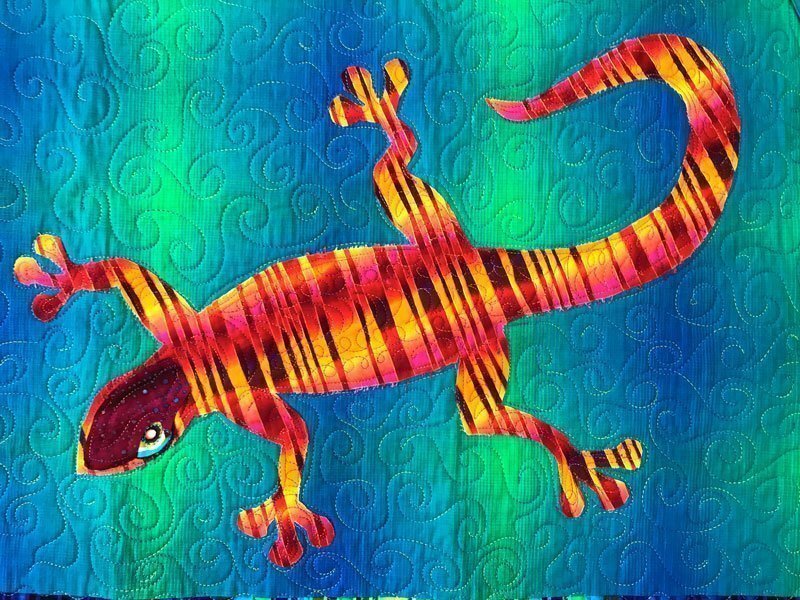 The inner border is a pretty stripe and the border is adorned with fireflies and geckos. The back is also the blue green woven fabric, which is nice and soft. 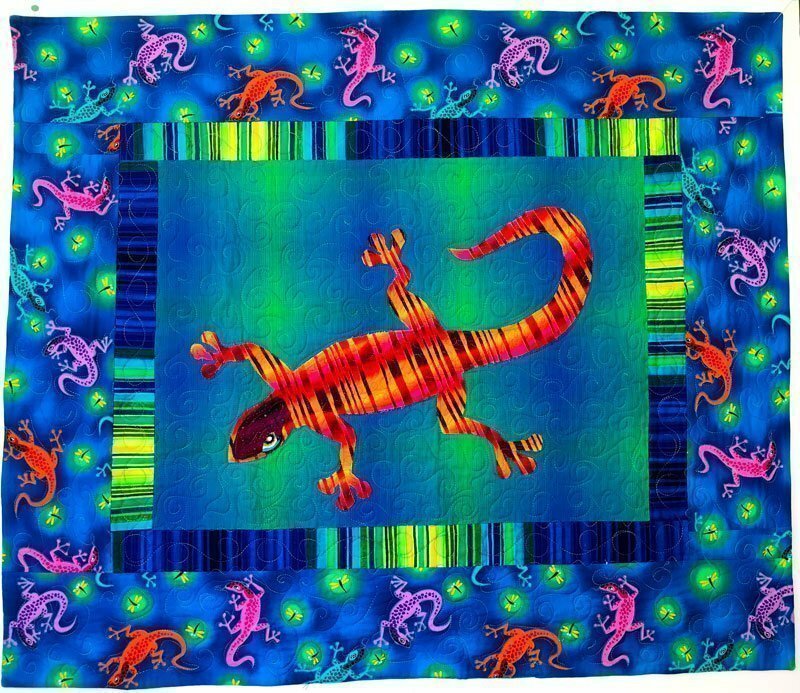 Alethea’s custom, hand-guided longarm quilting really makes the quilt unique. The quilt is stitch and flip style without binding on the edges.